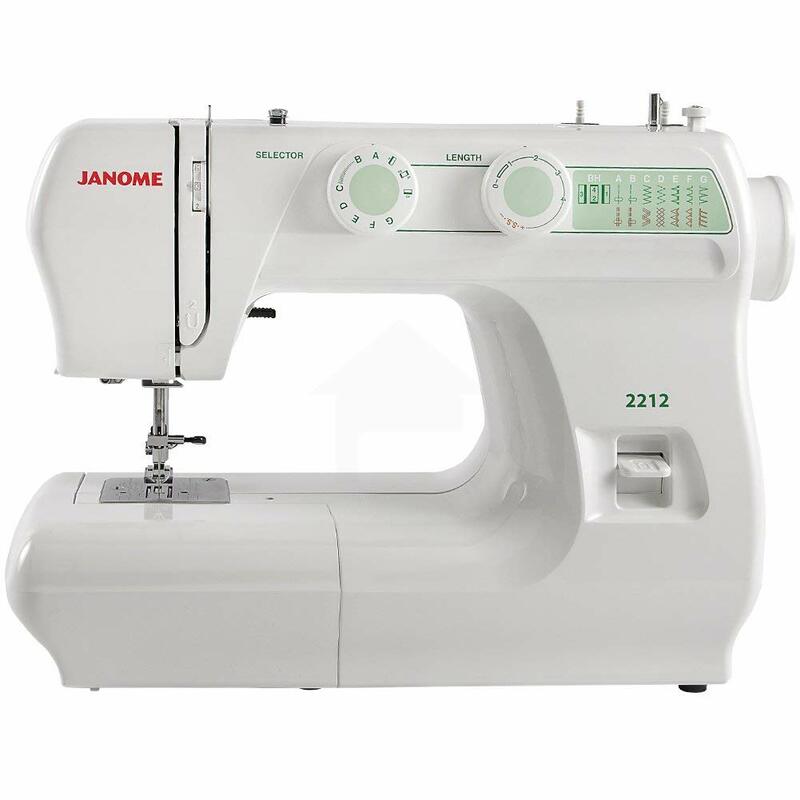 Like most of Janome products, this heavy duty sewing machine is the golden middle road between beginner and professional machines which means that you will be able to get all of your basic sewing chores and jobs done in a professional manner. Priced around $400, it comes with plenty of bells and whistles to make your sewing fast, easy and seamless (is this a pun?!) So if you’re looking for a reliable heavy-duty sewing machine, continue on reading! 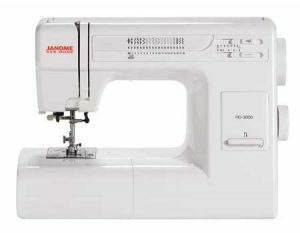 What makes this sewing machine Heavy duty is 1.0 amp electric motor which is strong enough to sew leather and will even sew through multiple layers of Denim without a hitch, so this machine is not lacking in the performance department. Better yet, all Janome sewing machines have a metal interior which makes them heavy enough that they won’t wobble around when you’re working on them, but will still be manageable when you want to carry it somewhere because the exterior is made out of hard plastic which does not feel cheap like I thought it would. I would like to add that with all this power, the sewing machine is still exceptionally quiet. 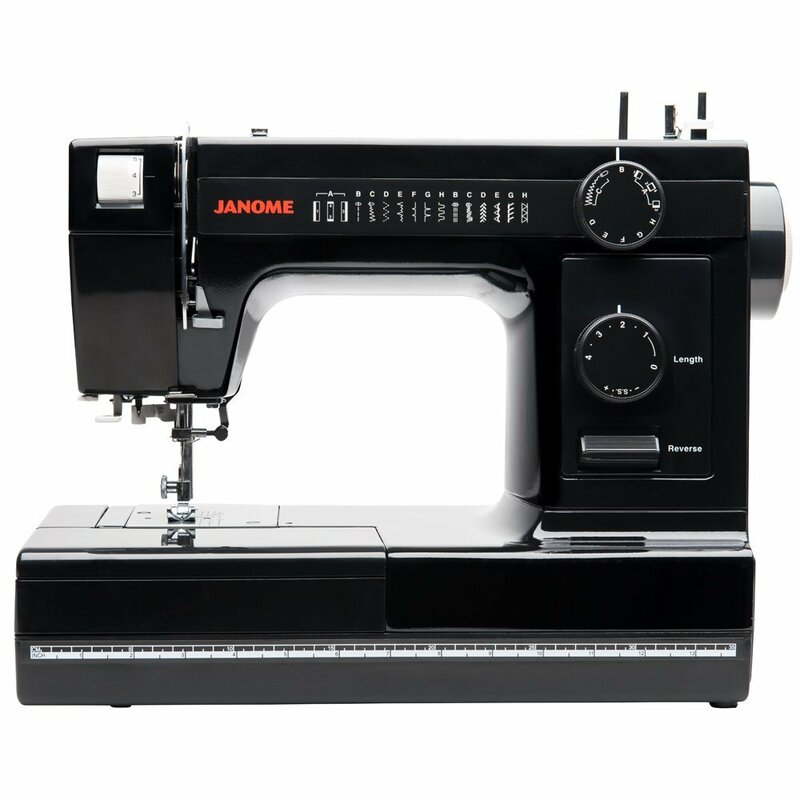 Janome HD3000 comes with 18 different stitch patterns and a 1-step buttonhole so you have some variety there. What is a little bit lacking is that stitch adjustment only goes right, which is a small limitation. All the stitch variations are listed in front of the machine so you won’t have to scratch your head thinking what is what. One of my favorite features is that the needle stops as soon you stop pressing on the pedal and stays there instead of completing the stitch, and while it might take time getting used to, it’s nice to not have extra unwanted stitches. Talking about foot pedal, the sensitivity is adjustable so you can sew comfortably. You won’t have to worry about bunching or even multiple layers of fabric as the five-piece feed dog will keep the material rolling smoothly. Who is this Sewing machine perfect for? If you’re someone who is looking for a sewing machine that is not overly complicated and you need just the essentials, we fully recommend this product. After reviewing it, we really feel that it’s perfect middle ground. It can sew all the basic things and then thicker and more unforgiving materials like leather and faux leather if you want to experiment. If you’re a beginner, this sewing machine will allow you to get right into it without scratching your head too much and will leave room for you to grow.